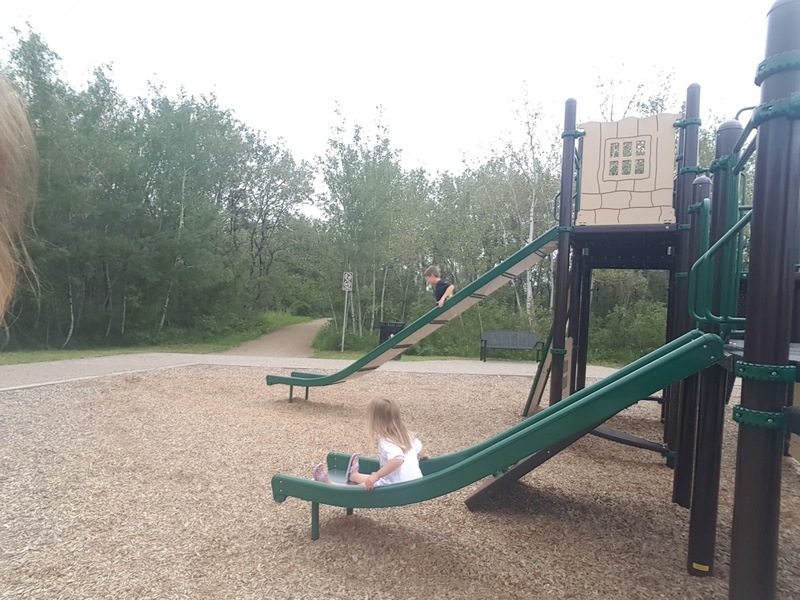 My family and I enjoy visiting new-to-us parks in Saskatoon. 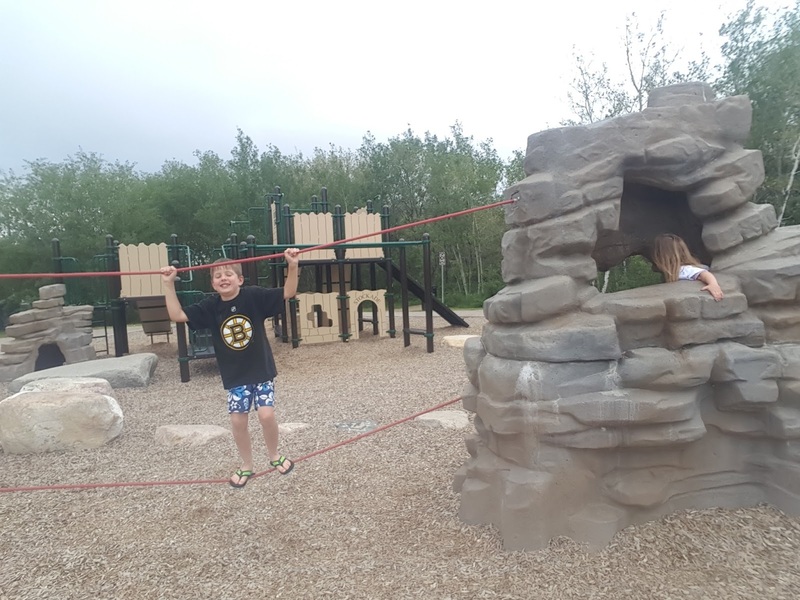 We could literally visit a different playground every day this summer without leaving the city limits! So, I have been watching with great anticipation the construction of Brighton, Saskatoon's new east-end community by Dream. Once complete, Brighton will be home to 82 acres of parks that my family looks forward to exploring! In an effort to promote Brighton's parks, Dream is hosting the Discovery Runs Throught It scavenger hunt challenge with chances to win one of several outdoor-themed gift cards. Each photo submitted on Facebook is another chance to win, so plan to do them all! The contest closes August 5. Winners will be contacted via Facebook direct message. 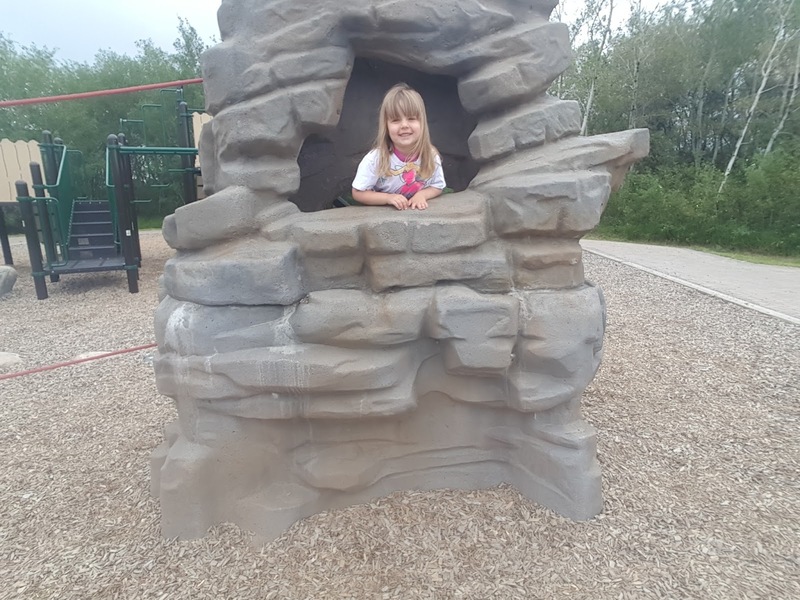 My family's first scavenger hunt submission will be one of these photos from our recent exploration of Patricia Roe Park in Stonebridge, another of Dream's amazing communities. This lovely playground was approved by both my 3-year-old and 7-year-old. We loved that there were many different areas in which to balance and climb. The kids enjoyed slide races as well as creative role play with the stone "castle" and the two resident bear cubs. 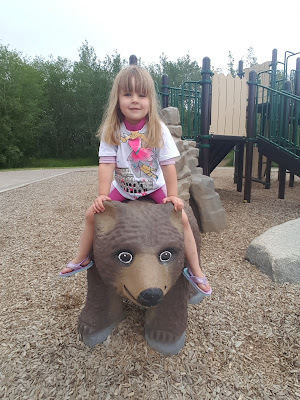 Although not in our immediate neighbourhood, Patricia Roe Park -- and the upcoming Brighton parks -- are sure to become popular destinations while we are out and about in Saskatoon.